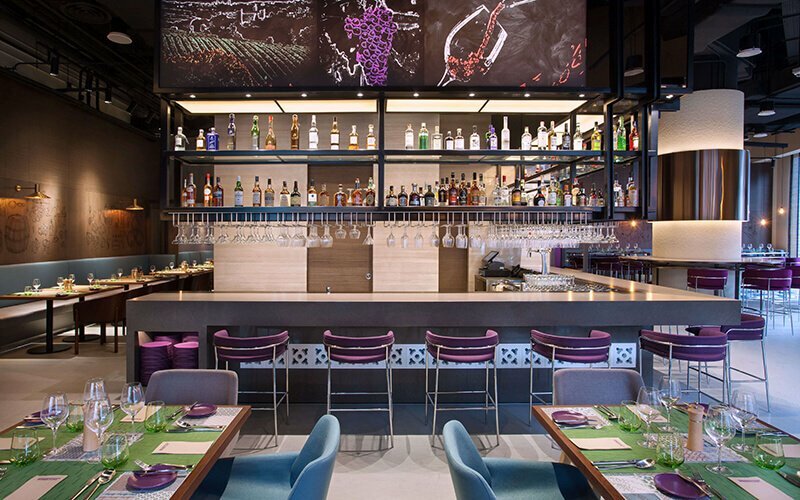 A contemporary establishment that fuses together a restaurant, late-night bar, and retail store under one roof, Winestone paves the way to an epicurean journey. The restaurant reflects its moniker with wine selections curated by experienced sommeliers and a palate-pleasing spread of Mediterranean dishes served on signature stone plates. Boasting a menu of simple, attractive, and affordable selections, patrons are treated to servings of authentic dishes crafted from fresh ingredients such as Winestone Express Platter, grass-fed roasted lamb, Cataplana, ragout, and more. Winestone can be found at Mercure Singapore on Stevens.